We do not have to tell you the value of a music program in a student's educational journey. You ARE the music educator and know that participation in choir or orchestra can change a student's life! Ginger Snaps Apparel is privileged to hear from schools across the country after a successful trip and know that you are making a difference in students lives while traveling for competitions, performances and fun! To show our appreciation for all you do, we are donating $500 to a school's choir or orchestra trip each year. October 15th of each year. The 2017 Application period is now closed. We will reopen the scholarship in July 2018. Be sure to join our email list to receive the application period announcement. We support trips that are educational, fun, and safe. The application gives you an opportunity to briefly describe these aspects of your school's trip. If your school is chosen, a donation will be made to your school. 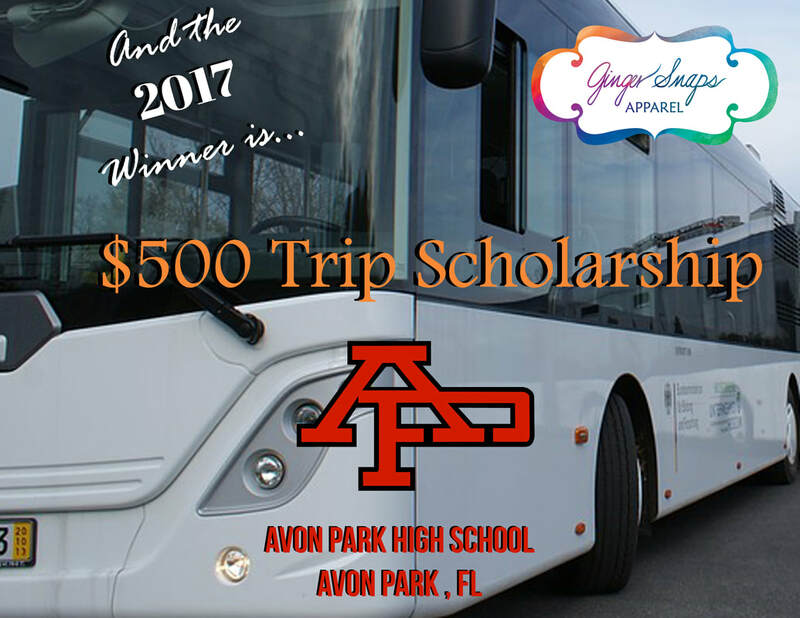 We ask that a picture be taken with the gift and another on the trip so we can promote the scholarship next year to help more schools!